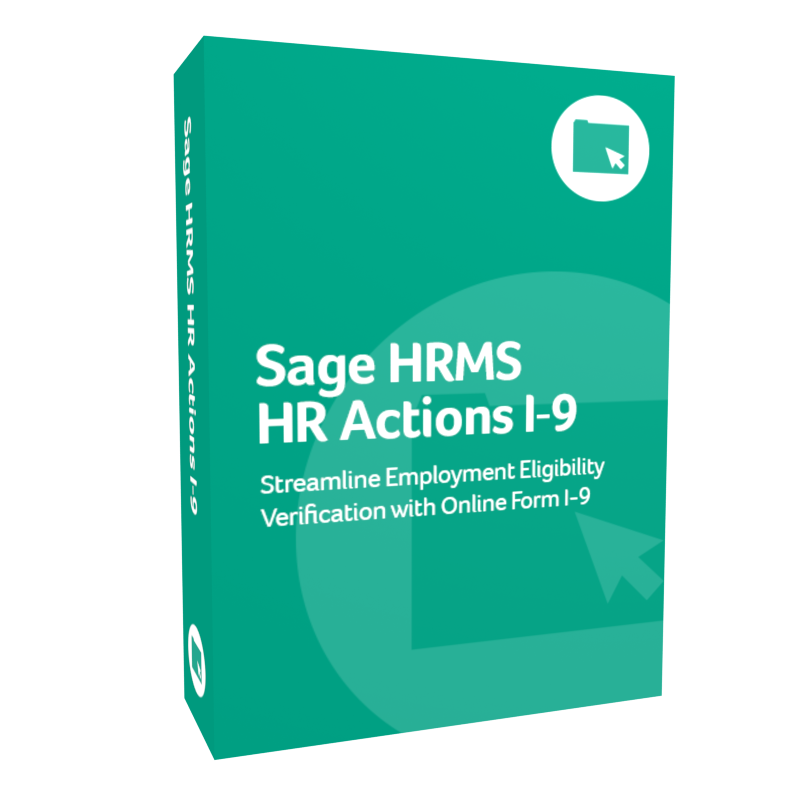 Sage HRMS HR Actions® eliminates the administrative burden of paperwork by providing online forms, covering the entire employment lifecycle, for Sage HRMS. 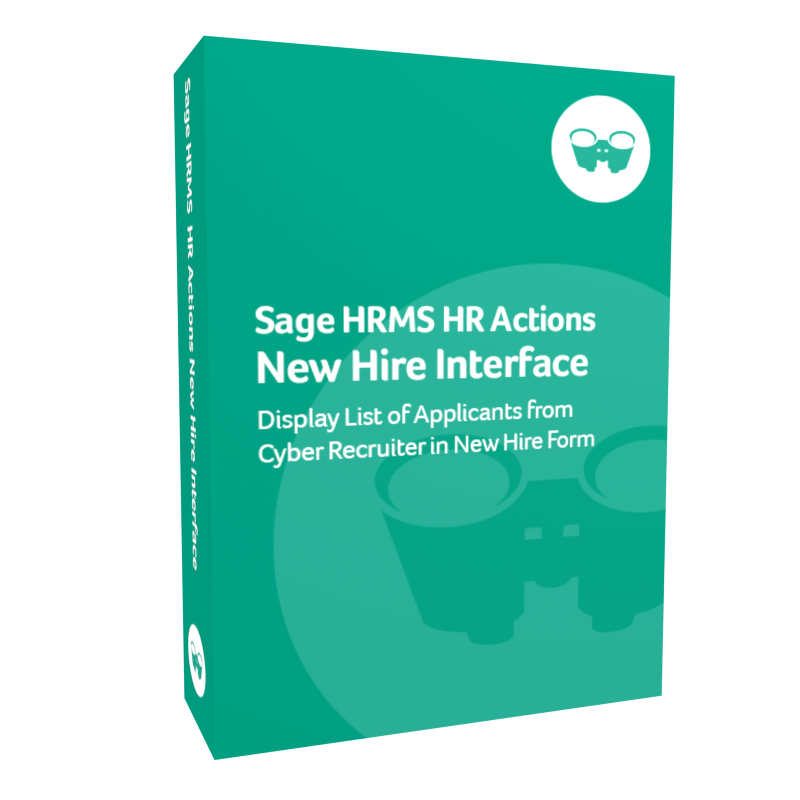 Whether initiated by an employee, manager, or HR staff, Sage HRMS HR Actions electronically routes forms for approval and saves data directly into Sage HRMS. 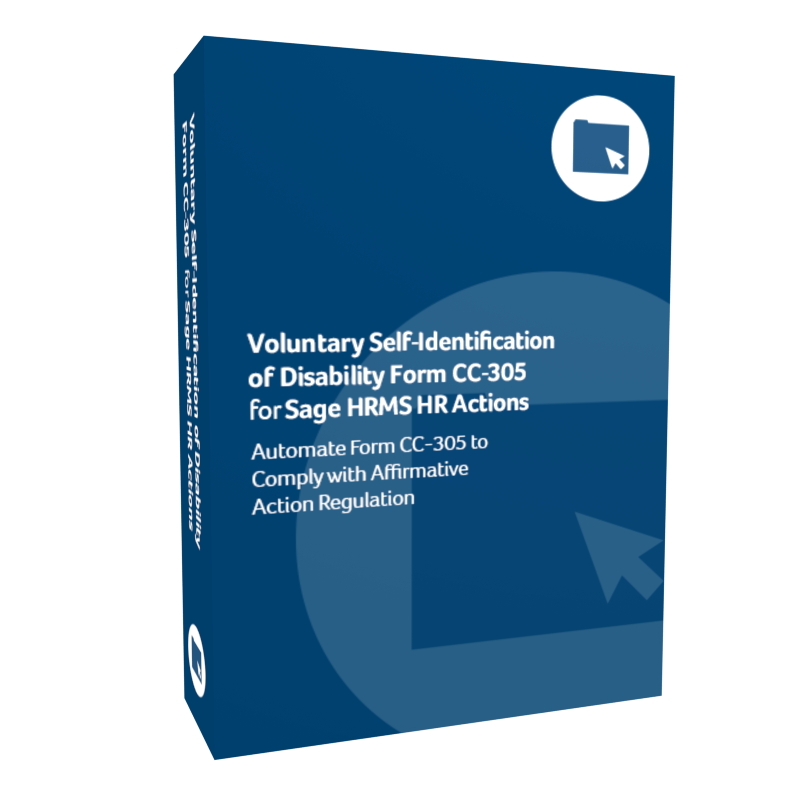 Use and customize the 40+ forms included with Sage HRMS HR Actions or quickly build your own web-based forms without any programming. When a Sage HRMS HR Actions Administrator completes and reviews a form, data from form fields driven by Sage HRMS is electronically updated in Sage HRMS and the form is saved in the electronic personnel file. 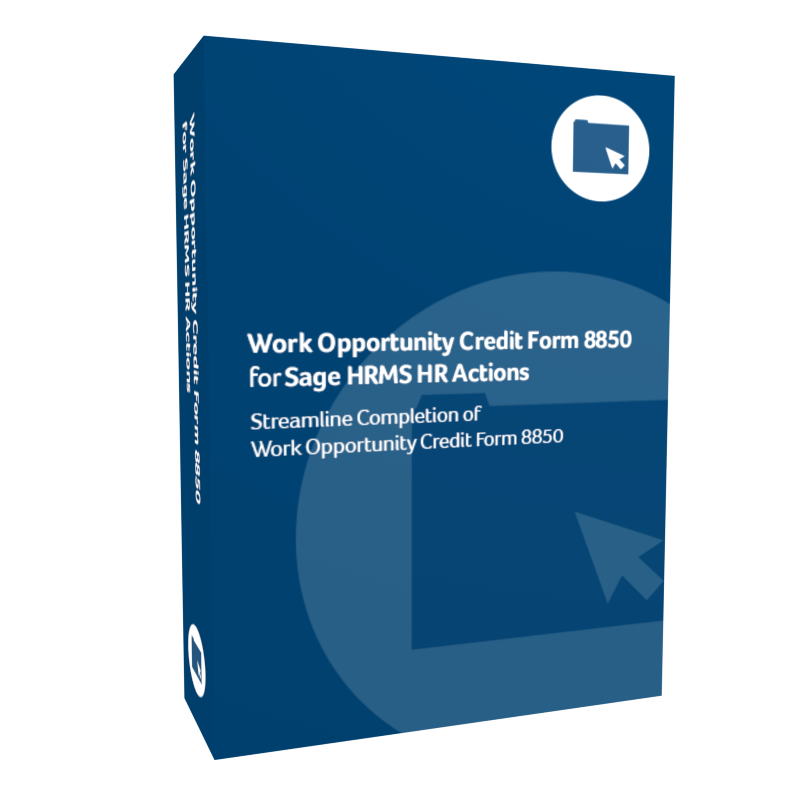 No manual data entry in to Sage HRMS means easier data collection, faster data processing, and no errors. Create an electronic routing slip for each form. Approvers can be combinations of managers in the employee’s chain of command, executives, role based (e.g., Payroll Manager), and HR associates. Emails automatically notify approvers when they have a form to review for approval. Expedite performance appraisals and goal setting using web-based forms. 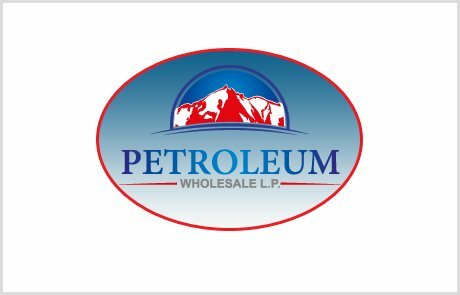 Capture field data in a SQL database, providing a large dataset for strategic “big data” analysis. Build an unlimited number of forms. 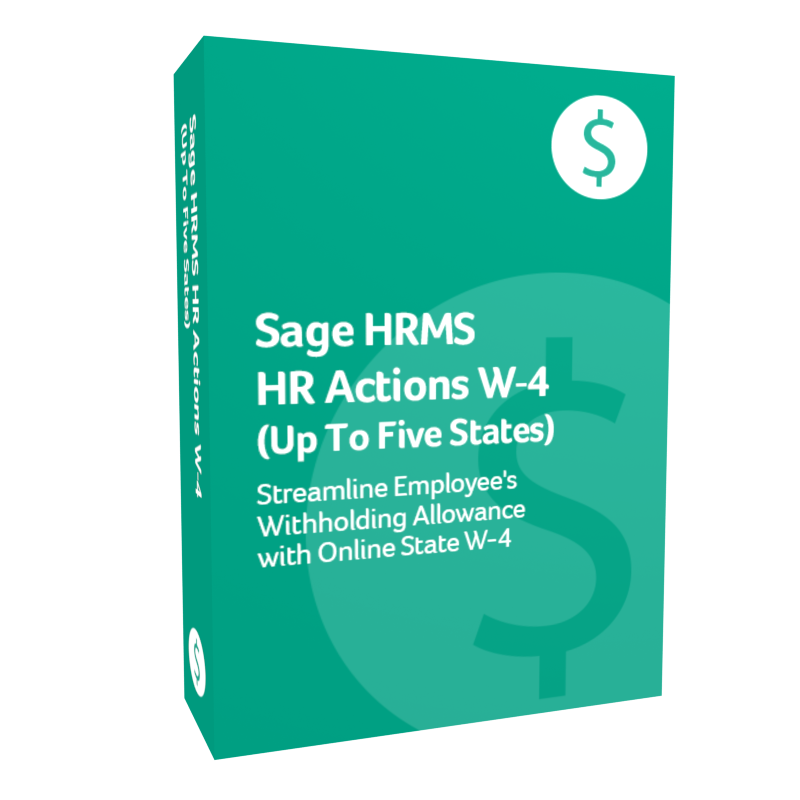 Your Sage HRMS employee license tier, not the number of forms, determines the price of Sage HRMS HR Actions. Monitor the status of forms being routed for approval with a dashboard. 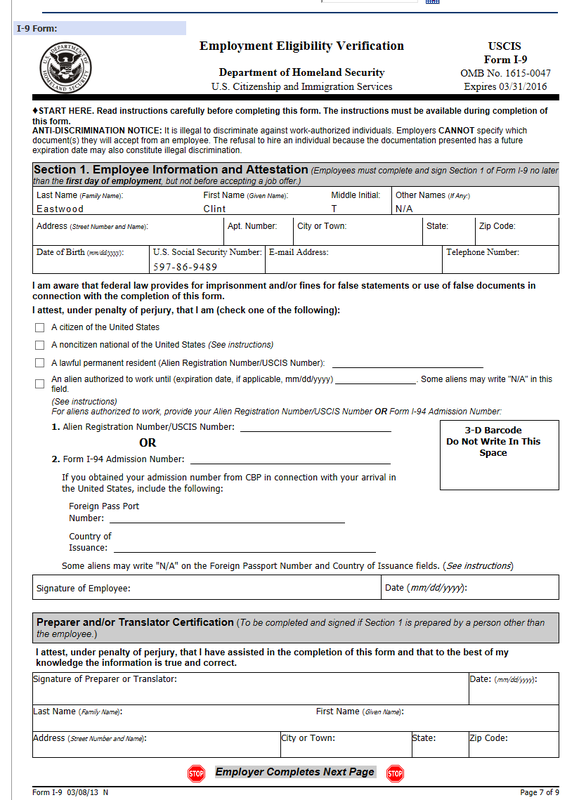 See where the form is on the electronic routing slip, who’s left to approve the form and, the form details. A raise greater than 10% requires Executive approval. 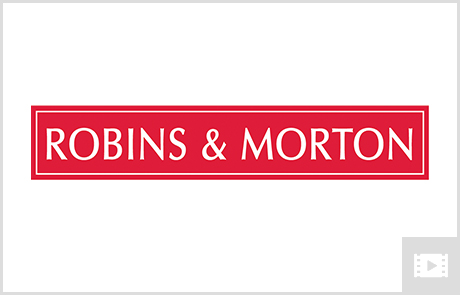 A bonus more than $2000 requires the approval of two Managers in the chain of command. 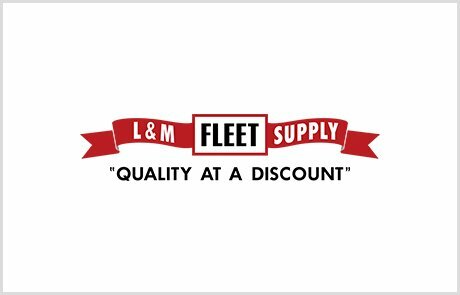 A performance rating less than “Meets Expectations” requires Training Manager approval. Move through the process of building a new form using a A step-by-step form building wizard. 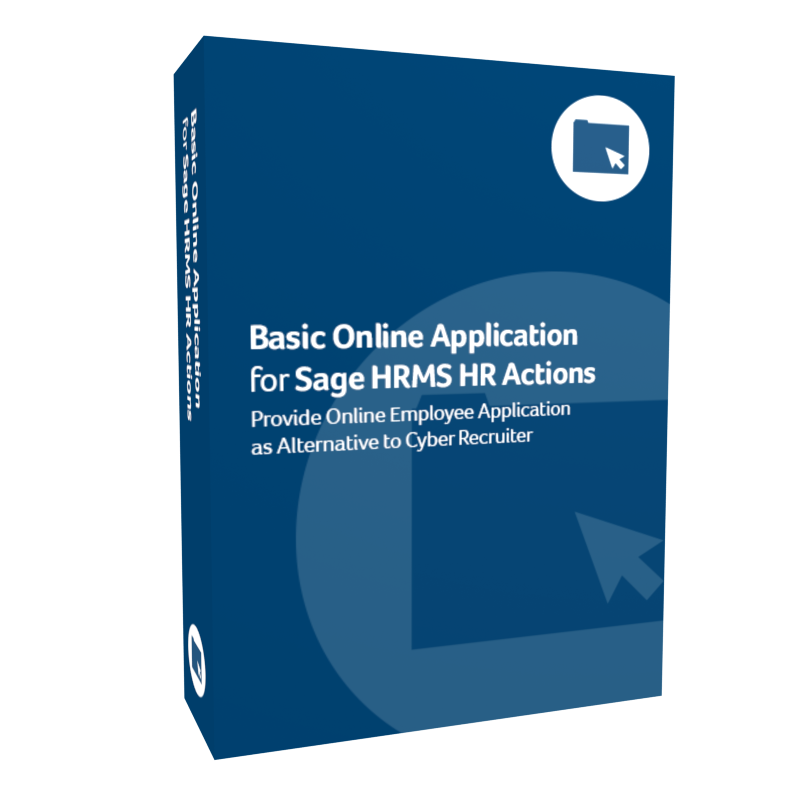 Sage HRMS HR Actions forms can include robust question fields. Questions can be fixed, generated by role, or open for editing by the employee or manager (or both). The employee, their manager, or both can comment on a question or assign a rating (i.e., Exceeds Expectations) if rating/scoring is enabled. An additional option is rolling goals over into questions on a Performance Appraisal form. 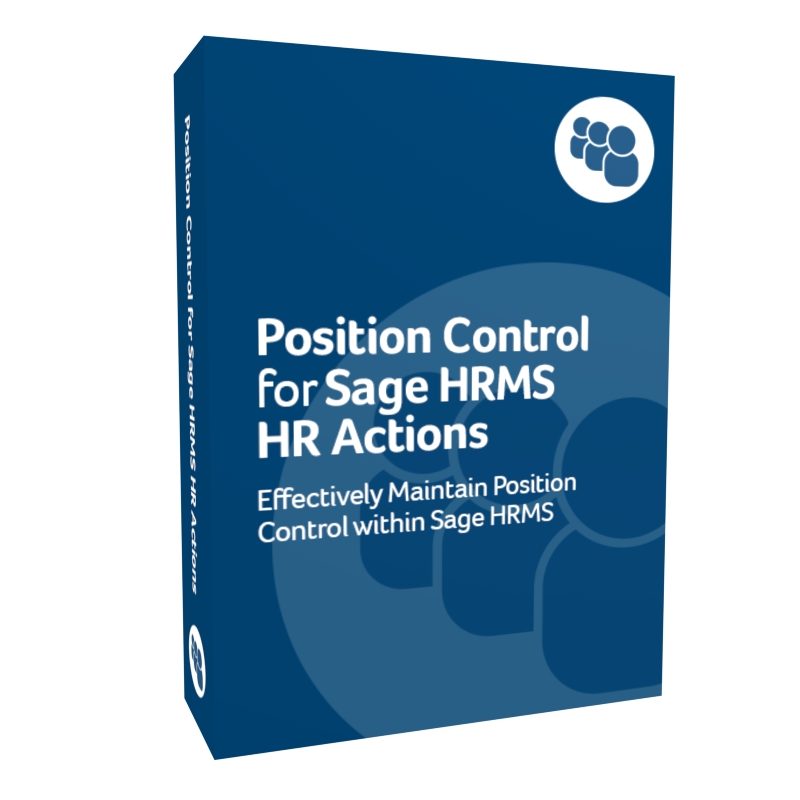 Administrators can control the routing on forms through the Sage HRMS HR Actions dashboard. Control the flow of a form—stop it, skip an approver, or push it through the routing process. 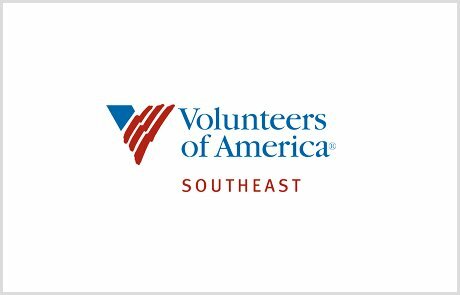 Completed forms are available for viewing online and searchable by several attributes including employee, initiator, and form name. Forms can have up to five file attachments (i.e., PDF, Word, Excel), which are also available for viewing. Approver comments and actions are logged with a date and time stamp. Audit trails changes made to form field values by approvers or administrators, including the date of a change, who made the change, and the type of change. Plugins for Sage HRMS HR Actions extend the functionality to include: paperless I-9 and W-4 forms, carry over goals for performance review forms, interfaces to recruiting systems to populate new hire forms, dynamic forms checklists to create lists of forms, and position control for position based organizations. 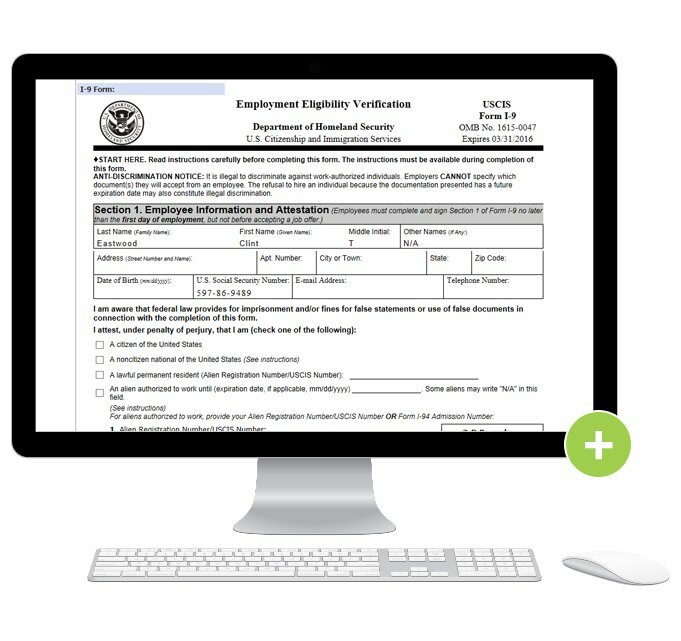 Streamline the process of deploying web-based forms throughout the employee lifecycle. 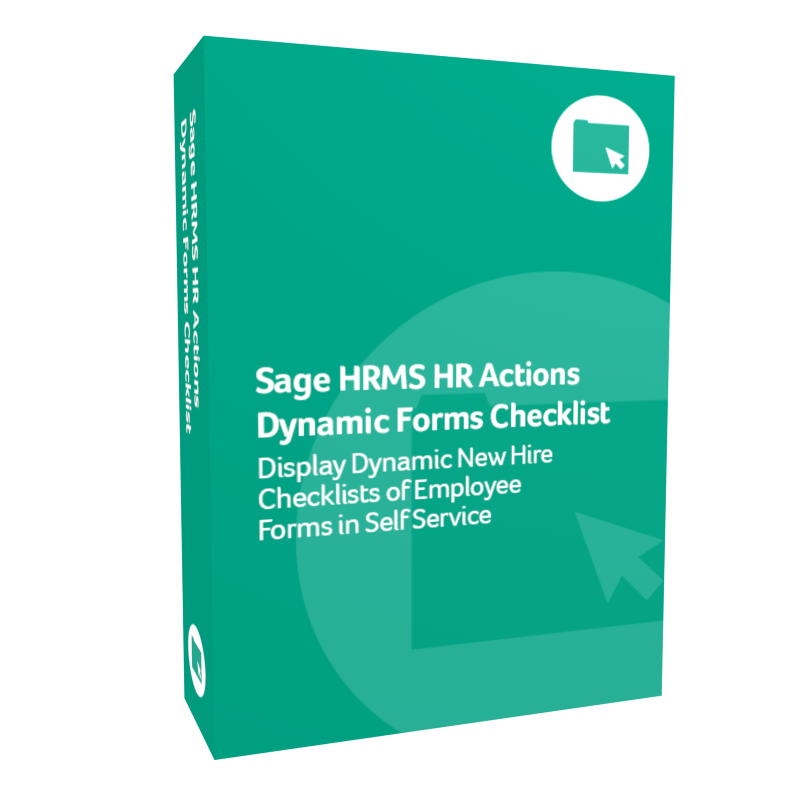 Improve the functionality of Sage HRMS HR Actions with these add-on forms and solutions.